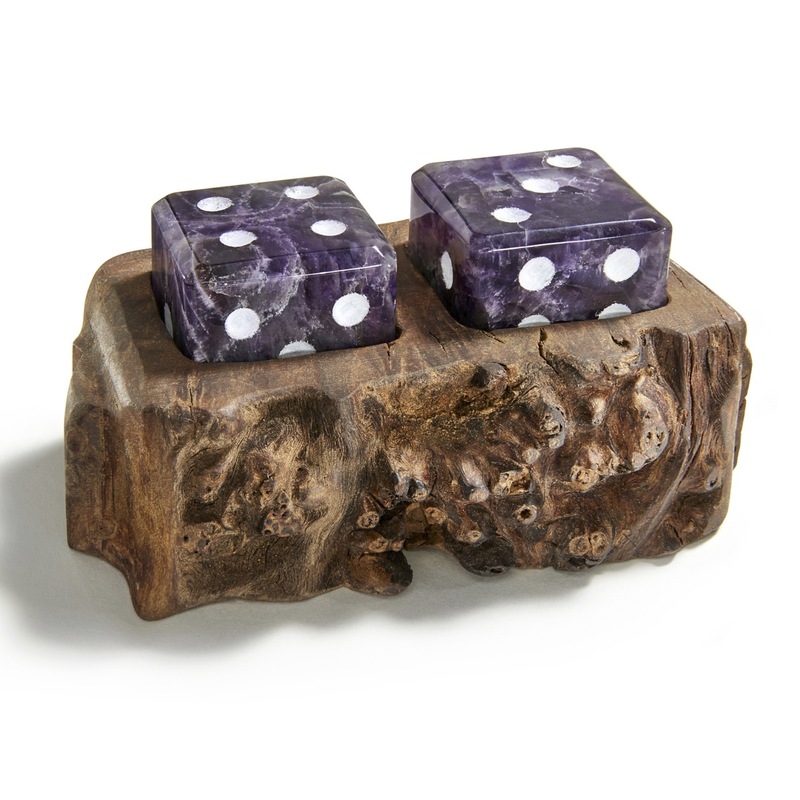 This gorgeous dice set is formed from natural amethyst and cradled in a holder carved of burl wood. 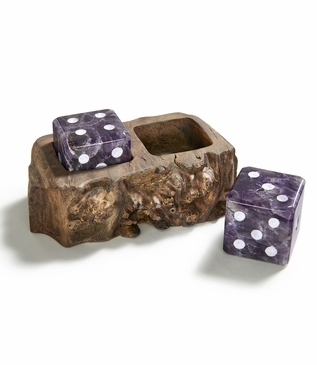 Perfect as a gift for the high roller in your life or as a swanky addition to your next game night. 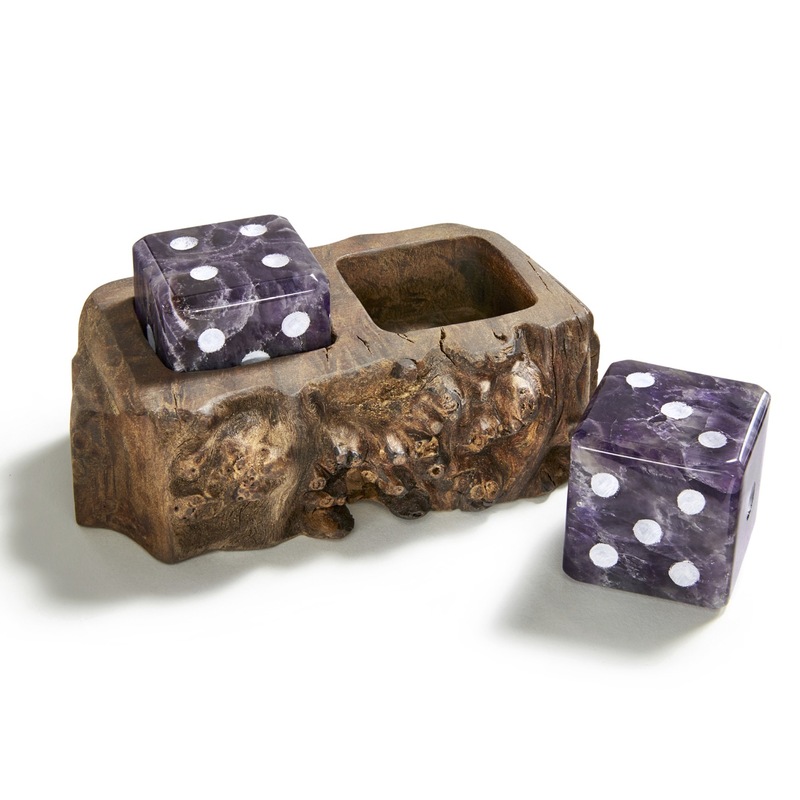 As with any natural project, size and color may vary slightly.